You can use canned pumpkin or quash from your garden or the store bought kind. Beat the liquid ingredients together, then slowly stir in the dry ones. Cook the batter in your preferred size on a medium hot griddle. Serve with butter and raw honey. Yum! Many, many sincere apologies (hanging head) for leaving out the milk in the ingredients list above. I am so sorry! I promise that with the milk - they are divine! I think I may have to try these. Just wanted to say that I love you new template. I like the ones that blogspot provides but I'd love to import a new one - I'm learning... Any advice for me? How did you learn? Karen, the new header is one I put together using photoshop after seeing a similar setup for sale for much, much more than is reasonable to pay for a graphic. However, when I googled "free blog header" in google images, a lot of nice ones came up that may interest you. Hope ya'll like the pancakes! They're delicious! 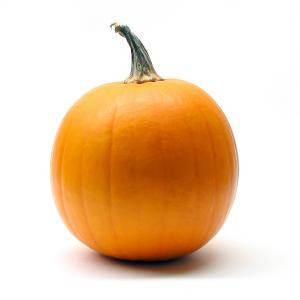 mmm...i love all things pumpkins! these sound delicious and i have one pumpkin left from the fall. perfect! i really like your new header! Hannah - I tried this, but it turned out more like a thick dough than batter? Is this right? Hi Carmine, my batter was thick, but not like dough. When making pancakes, I've found I can vary the thickness or thinness of the batter by adding or subtracting a bit of the milk. I found the same thing when I made the pancakes this morning. I even kept out some of the flour and added in milk. Hmmm...? The flavor was really good, however, and I added in white and milk chocolate chips. I made these last night for "Breakfast for Dinner" with a group of friends. They were yummy! One friend had me list the ingredients before she finally decided the cloves are what really make them great! They also had some applesauce in them, since I had frozen pre-measured pumpkin & applesauce together for a second batch of pumpking-maple granola that I decided after the first batch I didn't like.